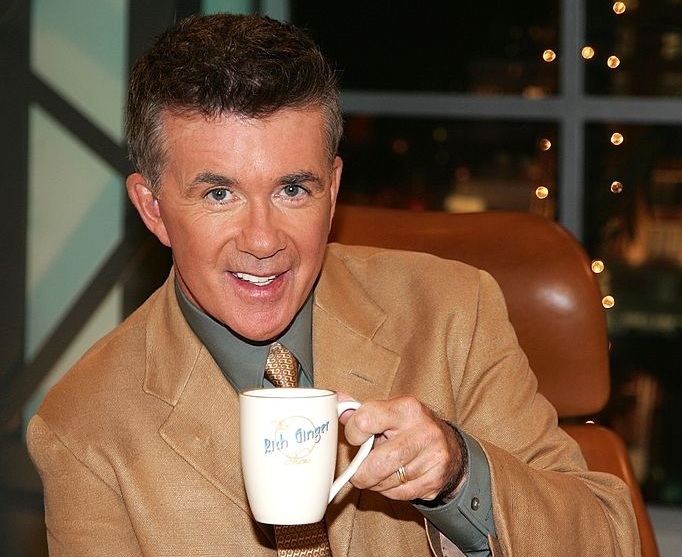 Alan Thicke as Rich Ginger on The Bold and the Beautiful in 2006. Growing Pains star Alan Thicke died on Tuesday. He was 69. Thicke's ex-wife, singer and former Days of our Lives actress Gloria Loring, confirmed his death in a statement on Facebook. "It is a shock. We were all just together for Thanksgiving. He was talented, funny and deeply devoted to his family," she said. "Rest In Peace, dear one." Thicke's career spanned five decades, and he moved between roles as an actor to writer to composer to author. But he will be remembered most for his role on Growing Pains, the hit sitcom featuring his character of Jason Seaver. In the role, Thicke portrayed a corny and collected TV dad who offered wholesome life advice to his family during the 1980s. As Jason Seaver, a psychiatrist who worked from home, he perfected the role of concerned and caring dad, always quick with advice and reassurance, often in the form of cheesy zingers. As news of his death spread, fans of a certain age mourned the loss of a father figure, recalling lyrics from show's theme song: "Don't waste another minute on your crying." Thicke went on to appear in numerous television shows and films, often appearing as himself on such series as How I Met Your Mother. His other TV appearances included 7th Heaven, The L.A. Complex and This Is Us. He also played talk show host Rich Ginger on CBS soap opera The Bold and the Beautiful. He recently appeared on Netflix's Fuller House, a reboot of another 1980s sitcom, featuring Bob Saget and Kirk Cameron's real-life sister, Candace Cameron Bure. In the 1970s he wrote for Fernwood 2-Night, a short-lived satirical talk show that later became America 2-Night, and The Richard Pryor Show. He composed the theme songs for the game show Wheel of Fortune and sitcoms Diff'rent Strokes and The Facts Of Life. He helmed a Canadian talk show, The Alan Thicke Show, in the early 1980s but he failed to replicate that success with American audiences on Thicke of the Night. However, he continued to remain popular in Canada, recently earning a "Canadian Icon Award" to honor his influence outside his native country. It wasn't just his acting he brought to the US, it was his love of hockey, so much so that celebrities and pro hockey clubs alike noted his obsession with the sport alongside their expressions of condolence. At a low point of his career, he landed his most memorable role in Growing Pains. The role was his saving grace after the failure of Thicke of the Night, he told CNN's Larry King in 2006, when the cast reunited for a television special. If not for the role he may have been driving the Zamboni for the Los Angeles Kings hockey team that year, he said. In the wake of Alan's death, Carter remembered his dad, not as the television father, but as a "best friend and my idol"
"[T]he world lost one of it's finest," Carter tweeted. "You are a legend and I love you Pops. Until next time."